The boys golf team defeated Crystal Springs Uplands 175-216 last week. Ryan Vaughan, grade 11, shot a team-best 32. The Eagles face The King’s Academy Monday. 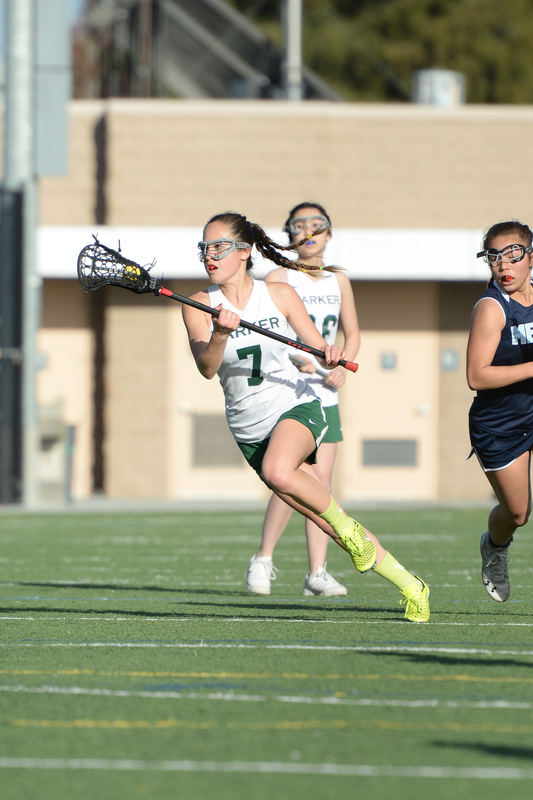 The girls lacrosse team came up short 12-10 against Mercy Burlingame and 9-3 against Sacred Heart Cathedral last week. On Tuesday, the Eagles face off with Notre Dame San Jose at PAL Stadium. The baseball team dropped two games to Crystal Springs Uplands last week, 11-0 and 10-3. It faces off with Trinity Christian this Thursday at Cal State Monterey Bay. The softball team lost to the Fremont High 11-0 last week. Cameron Zell, grade 9, had two hits in the loss. The Eagles meet up with Notre Dame San Jose on Tuesday at 4 p.m. at Blackford. The boys tennis team lost to a tough Menlo team 7-0 last week, but rebounded with a 5-2 win over Crystal Springs Uplands. The Eagles are back at it Tuesday as they face The King’s Academy. The boys volleyball team dropped a four-game match to Fremont last week, with Chris Gong, grade 9, leading the way with 10 kills. Next Wednesday at 5:45 p.m., the Eagles host Wilcox High at Blackford. The track and field team competed at the Firebird Relays at Fremont High last weekend. Highlights included Demonte Aleem, grade 9, placing first in the frosh/soph 100m and shotput; Anthony Contreras, grade 10, placing third in the frosh/soph 100m; and Lilian Gonzales, grade 9, placing fifth in the frosh/soph 3200m. The Eagles take on their WBAL rivals at their next meet held at Bellarmine High on April 13. The Eagle swim team traveled to Sacred Heart Prep last week for the SHP Invitational. Highlights included a win in the girl’s 200 Medley Relay consisting of Taylor Kohlmann, grade 10, Grace Guan, grade 12, Vivian Wang, grade 10, and Angela Li, grade 9, who improved the CCS qualifying time; Vivian and Grace also went first and third respectively in the 100 Backstroke, both swimming CCS qualifying times; Michael Auld, grade 11, won the 500 Freestyle with a commanding eighteen second lead over his closest opponent; and Li, Guan, Wang and Ihita Mandal, grade 9, qualified for CCS in the 400 Free Relay. The Swim team has a WBAL meet on April 7 at Menlo High.